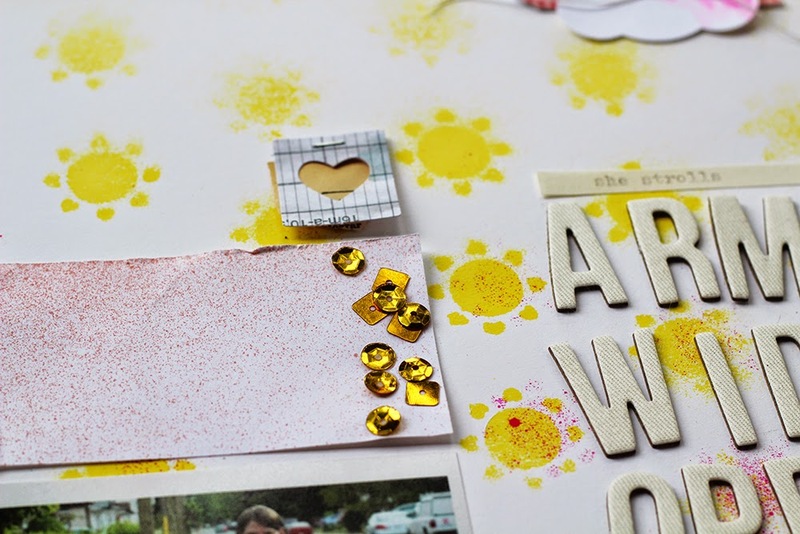 things that shine: inspiration Thursday: sequin round-up! 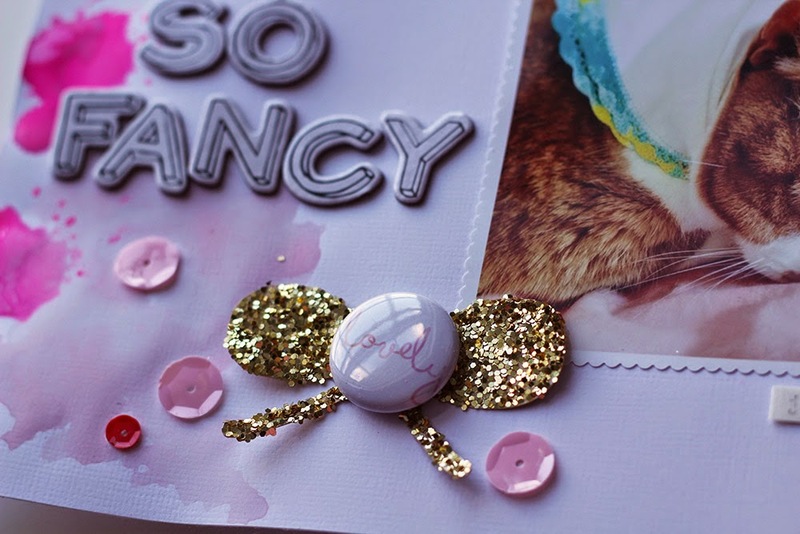 Sequins are back in scrapbooking again! And I love it! They're also out there in holiday decorations, home decor, and fashion, and I love that too, because it means even more inspiration to bring back to the page. And, sequins are one of those supplies that are inexpensive to buy, and you get a WHOLE LOT of them, so you can use them up and use them frequently. But, that always makes me wonder... how can I use sequins on my layouts? 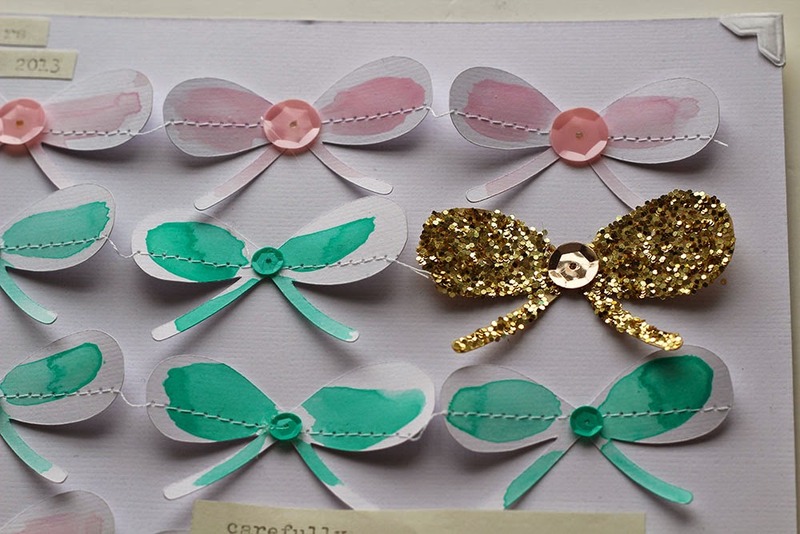 I started Pinning ideas to get me using my sequin stash. If you are looking for ideas on how to use sequins on layouts, check out my Pinterest board, or take a look at some of my examples posted below. Follow Ashley Calder's board sequins on Pinterest. 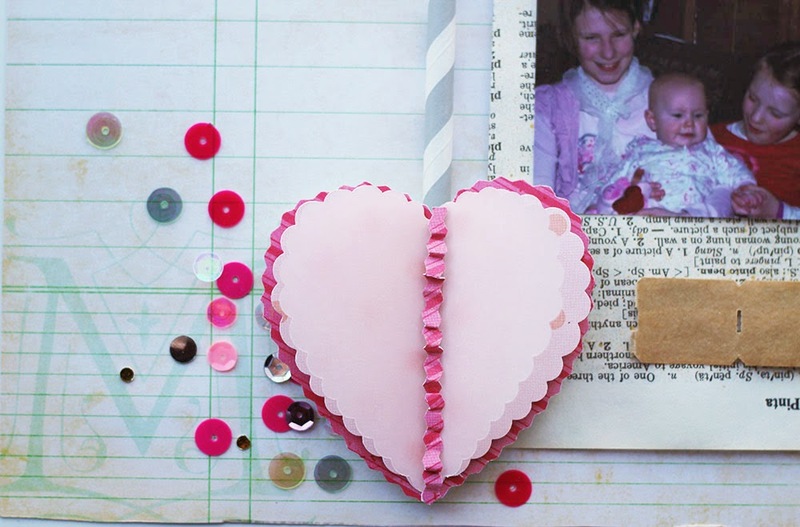 I made a sequin heart embellishment. Dip a tag in sequins. 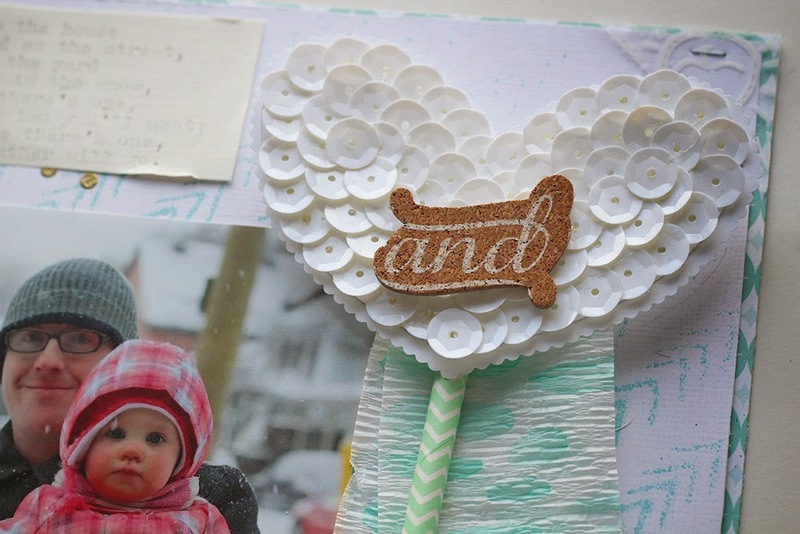 Add sequins to bow garland. 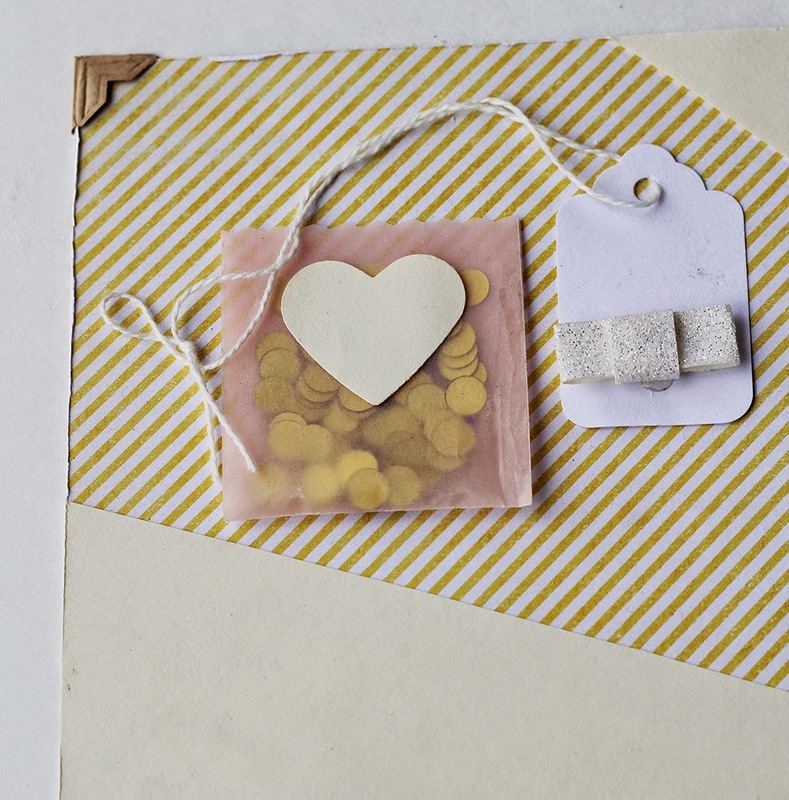 Make a tiny vellum pocket to fill with sequins. 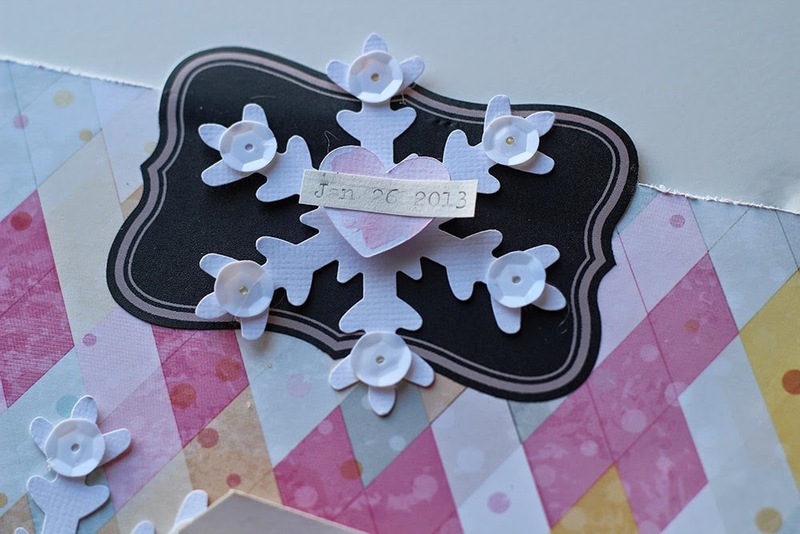 Add sequins to the tips of punchies or die cuts for a fast embellishment. Use multicoloured sequins for a fun splash of colour. 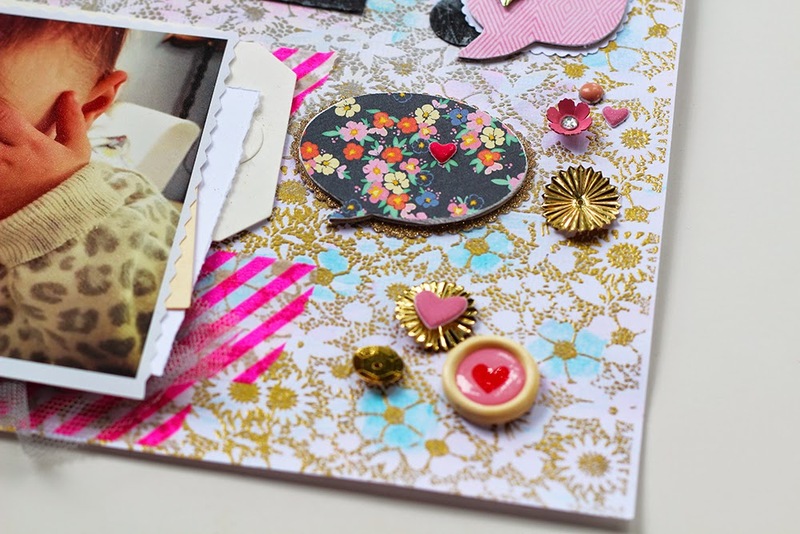 I love adding in items like sequins and rub-ons in mixed media pieces. 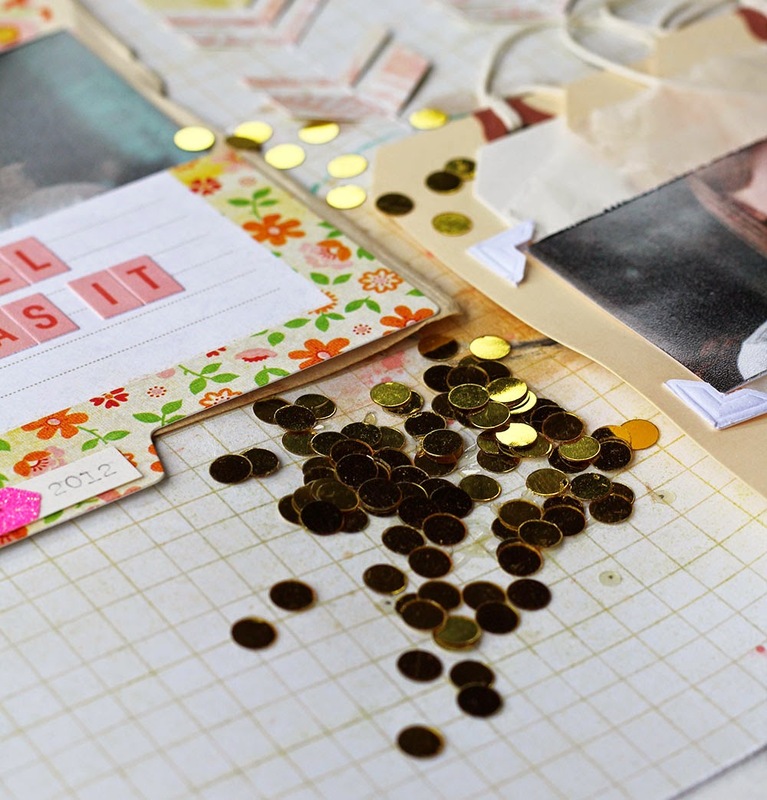 Sprinkle a few sequins around to fill in a spot that just needs a little something. Sprinkle a lot of sequins around to fill in an empty corner! 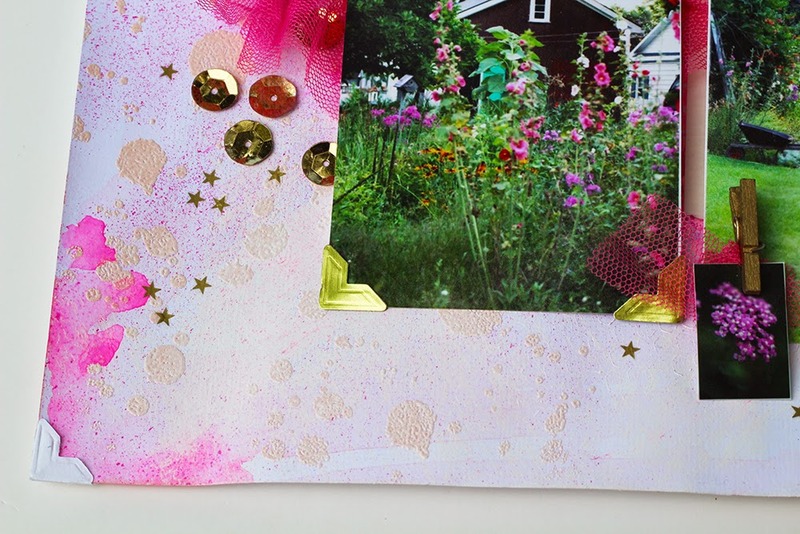 I LOVE the effect of mixing in these big fluted cup sequins with chipboard, brads, and puffy stickers.